Who should we be reaching out to? Local contacts, Rides, Events, Campaigning and more! Local campaigning discussion – what kinds of campaigns should we be thinking about? June – Feel Good Festival. 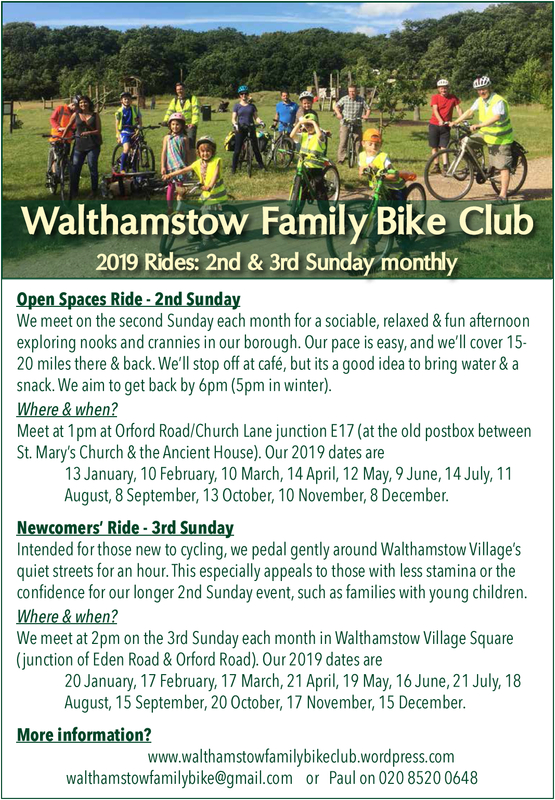 Details submitted to council, do we want a flyer too? Feedback from quarterly coordinators meeting. LCC Campaigner Conference is on the 8th June. Lots of workshops and skill sharing, not just for members! Next meeting – May 28th, same time same place! Our monthly gentle-paced social ride, never more than 30 miles – and the annual Daffodil Ride is largely off-road on quiet paths. Come to Belvedere Road in the Southbank by 7:30pm to join this energising bike party if you’re already in Central London. Please note that Nic is unwell and won’t be riding from Walthamstow to join the party. Please note that Nic is unwell and won’t be leading this ride this month.